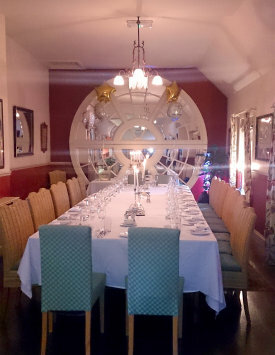 Within the Manor House, we have a choice of rooms, each adding its own unique ambiance to your function. The conservatory and lounges will lend an effortless elegance to your banquet or private dinner, while the main restaurant is ideal for larger and livelier social events. Whatever the occasion, our experienced team will be on hand to help and advice from your initial enquiry to final farewells. In December, we offer special party menus for festive gatherings, along with a famous Chrismas lunch and New Year's Eve party. See our Christmas & New Year page for details. 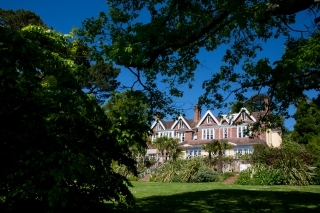 Located in an idyllic setting within its own grounds, just 10 minutes from Torquay and 20 minutes from the M5, the tranquillity of the surroundings makes Orestone an ideal venue for conferences, meetings and team building activities. Contact a member of our team for more information.